James is a Lecturer and Clinical Psychologist. He graduated with his PhD in Clinical Psychology from the University of Queensland in 2013. His focus of research is on compassion. 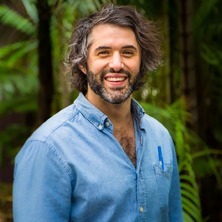 He has a broad research interests in compassion, however, specific research areas include: a) examining compassion focused therapy; b) measuring compassion; c) examining compassion with children; d) what fears, blocks, & resistances people have towards compassion; & e) developing and evaluating compassion interventions. James also holds an Visiting Fellowship at the Center for Compassion and Altruism Research and Education at Stanford University and is an Honorary Member of the Compassionate Mind Foundation UK. If you are interested in undertaking a PhD focused on compassion please contact me. This study is focused on examining what inhibits people from being compassionate. Sanders, Matthew and Kirby, James (2010). Parental programs for preventing behavioural and emotional problems in children. In James Bennett-Levy, David Richards, Paul Farrand, Helen Christensen, Kathy Griffiths, David Kavanagh, Britt Klein, Mark A. Lau, Judy Proudfoot, Lee Ritterband, Chris Williams and Jim White (Ed. ), Oxford Guide to Low Intensity CBT Interventions (pp. 399-406) New York, United States: Oxford University Press. To whom do we confide our secrets? Corrigendum to "A randomized controlled trial evaluating a parenting program designed specifically for grandparents"
The effectiveness of the Grandparent Triple P program with Chinese families: a randomized controlled trial. Consumer engagement and the development, evaluation and dissemination of evidence-based parenting programs. Sanders, Matthew R. and Kirby, James N. (2010) Consumer involvement and population based parenting interventions. Administration, 58 2: 33-50. Kirby, James Nicholas (2013). The development and evaluation of a parenting program for grandparents: Grandparent Triple P PhD Thesis, School of Psychology, The University of Queensland.